If you’ve noticed that your restaurant’s furniture has become squeaky, wobbly, torn, or chipped, then be sure to stock up on our bar stool parts and chair accessories. By fixing lumpy cushions, ripped vinyl covers, or jammed swivel chairs, you’ll reduce the amount of customer complaints. Plus, keeping your chairs and bar stools in pristine condition will ensure that your dining room stays attractive for your guests. 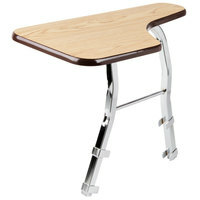 For other great items, check out our restaurant table bases, table tops, and table parts. 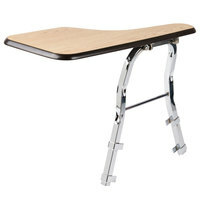 If you're wondering where to buy national public seating chair and barstool parts and accessories, we have a large selection of national public seating chair and barstool parts and accessories for sale at the lowest prices.